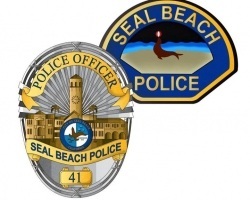 The Seal Beach Police Department is hiring three new officers and launching new “Community Oriented Policing” teams. Money from Measure BB, the 1-percent sales tax increase passed by voters last November is what is making it all possible, according to Interim Police Chief Joe Miller. Three new officers are due to be hired on March 25 and will undergo up to six weeks of training. Chief Miller said the new officers are lateral hires, meaning they come from other law enforcement agencies in Orange County. An additional two officers could be hired in the next eight weeks to bring the total number of sworn officers on the force to 38. “I think [residents] are really gonna see the impact,” Chief Miller said during the city’s strategic planning workshop on March 13. As the Seal Beach Police Department grows, it’s also unveiling new deployment strategies. By May 13, each of the city’s five council districts will have designated “Community Oriented Policing” teams. That includes two officers stationed at the Jack Haley Substation at the base of the Seal Beach Pier. Officer Victor Ruiz and Officer Bruno Balderrama will be assigned to the substation, according to Chief Miller. 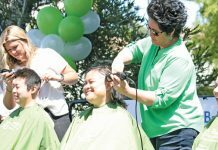 “The goal is to get to know the community and work with businesses,” Chief Miller said. 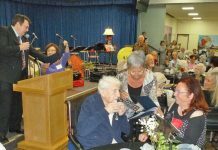 An investigator will be assigned to Leisure World, the private retirement community that is home to roughly one-third of the population of Seal Beach. Chief Miller said the investigator will “provide much more directed service” by, among other things, focusing on fraud cases that are more common in Leisure World. The other districts cover College Park West, College Park East and the Hill. Sergeants will be heading up the teams and are expected to contact city council members by March 29. Chief Miller envisions the Sergeants and council members “working as a partnership” to better address the needs of residents in each district. Chief Miller cautioned that while officers will be assigned to specific areas, they can always be pulled away to respond to needs in any part of the city. 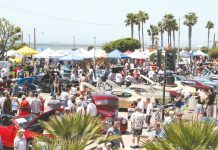 The annual cost for the five additional officers is expected to be $850,000, according to Seal Beach Finance Director Vikki Beatley. The costs are expected to be covered with new revenue from the sales tax increase, which takes effect April 1. The hike could bring in an additional $4.7 million a year, according Beatley. The Seal Beach City Council approved the hiring of three new officers last December. The hiring of the other two officers was approved in 2017 with a loan from the city’s designated pool fund which is money set aside to replace the aging swimming pool at J.H. McGaugh Elementary School. Beatley said there is a plan to repay the pool fund. A Police Services Study looking at staffing needs in the department has yet to be released. Last April, City Council hired Matrix Consulting Group to complete the study. As of last month, it was still being reviewed by SBPD.